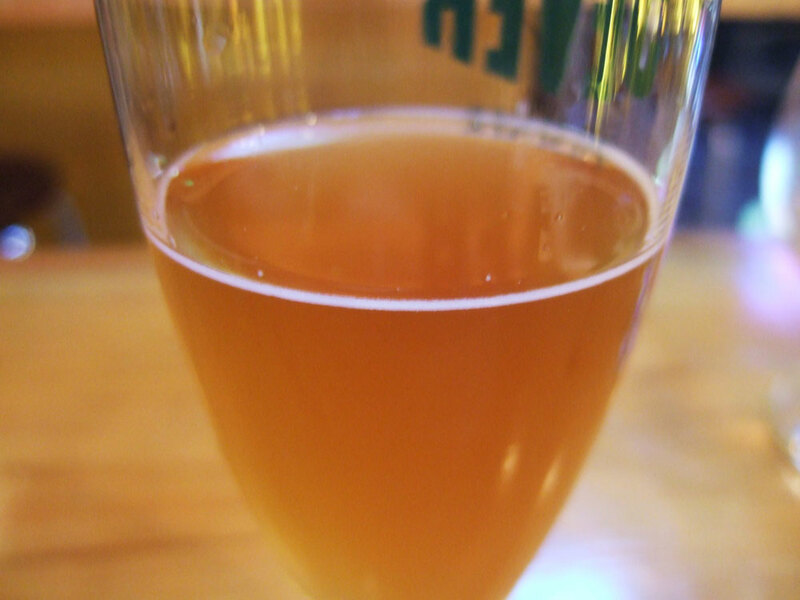 Events: Tasting the Beer for “Bread and Beer”! 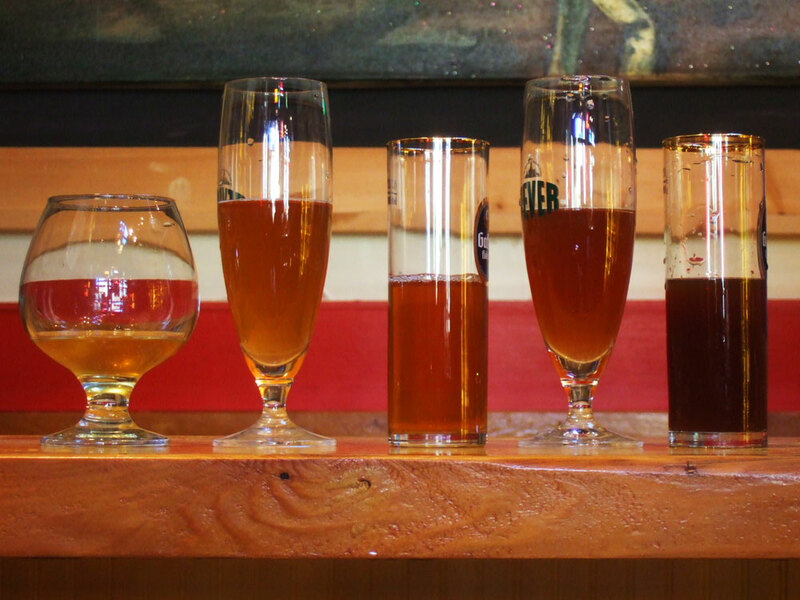 From left to right: American Strong Ale; American Strong Ale with Caraway infusion; Ginger Beer; Jumble Beer; and Spruce Beer. This Thursday is Bread and Beer at the Old Stone House, so buy your tickets today (we are selling out fast)! On Friday, I was lucky enough to taste the beers we’re presenting; actual recreations of 18th and early 19th century beers! This is so exciting for me because it’s outside my realm of expertise (and there’s no room in my Queens apartment to home brew). So it was a thrilling experience to consult with the guys at Brouwerij Lane to create these beers. This an “American Strong Ale,” from an 1815 recipe. 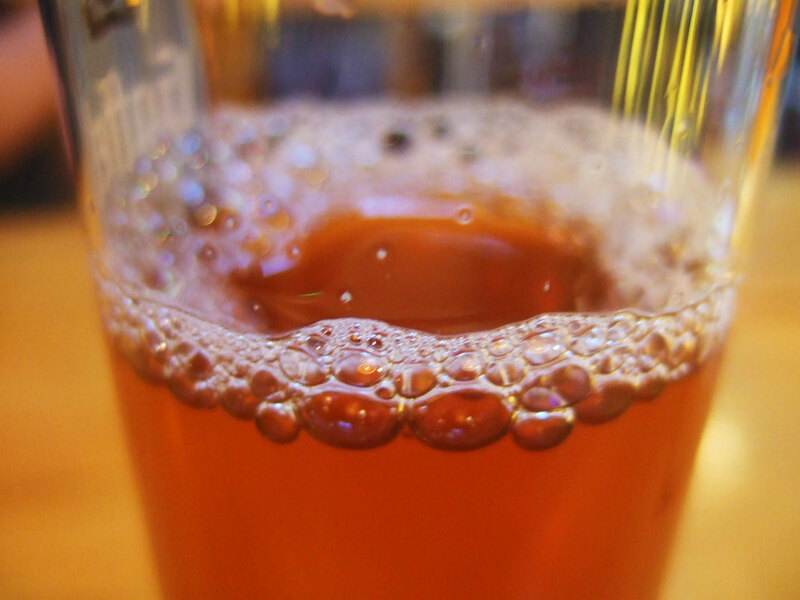 It’s brewed with beef, mustard and rice–and is amazingly drinkable and delicious. I think beef beer might be my new favorite. This is ginger beer: ginger, molasses, and lemons. Bright, sweet, refreshing; it made me mourn for summer days and look forward to sipping this brew alongside a mint julep next year. All this, and so much more: I’ve got a lot of orangey caraway cookies and spicy deventer cake to bake today! See you there! Five abundant pairings of freshly baked, aromatic treats with freshly brewed aromatic beverages. The gallery setting in the historic Old Stone House complemented the period recipes behind 9 of the 10 offerings. The one commercial replacement, one of the five beers, was generous and exquisite. Three of the five baked goods were more savory than sweet. Piles of homemade butter were close at hand especially during these three courses and the supply never faltered. Two shades of crisp sweet grapes, cubes of various firm cheeses, pineapple chunks and cocoa-dusted dark chocolates sat out of the way on plentiful trays. We were well sated, but we have not decided what our favorites were yet. When’s the next food event? Thanks!! Photos and menu will be posted soon!